Since 2004, Flashback Data has provided sensitive incident investigation and forensic data recovery services to clients around the world, including corporations, law firms, and foreign governments. 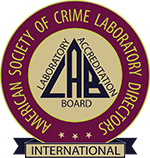 Our laboratory is ISO/IEC 17025:2005 compliant and accredited by the American Society of Crime Laboratory Directors/Laboratory Accreditation Board under the same program as the FBI and state law enforcement (ASCLD/LAB International). In fact, we’re the only non-government owned computer forensics lab in the world who can say that. Our personnel have backgrounds in law, criminal investigation, intelligence, fraud examination, and information systems and security. Our forensic examiners are well-trained and highly credentialed. In the event that a hard drive is damaged to the point of inaccessibility, our data recovery technicians can assist our investigators in recovering the suspect data for analysis. Please contact Flashback Data today for more information on our qualifications or any of our computer forensic related services.